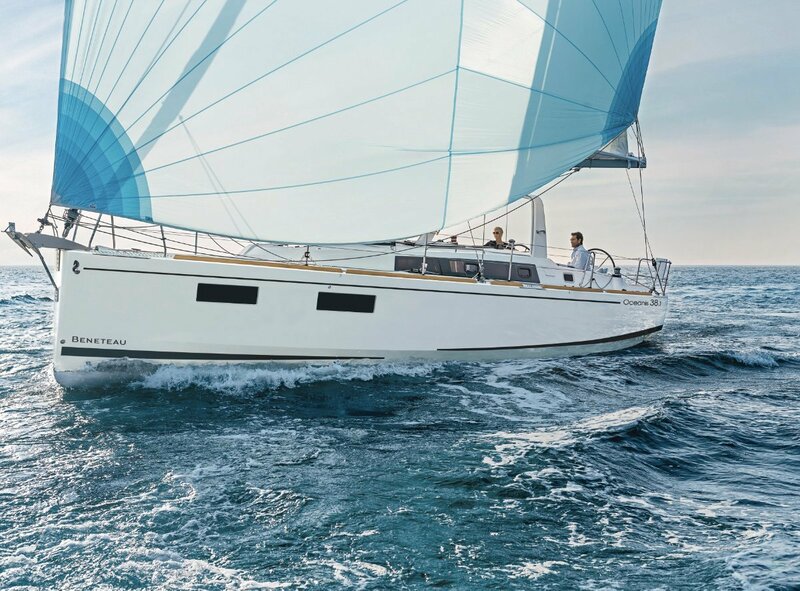 The Beneteau Oceanis 38.1 stands tall amongst it's peers, cleverly combining practical features, performance and elegance on a boat size where function generally outweighs personalisation. 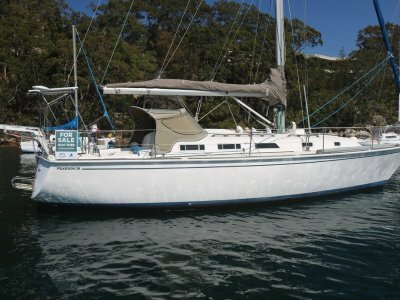 She is a delight to sail, with the chined hull offering superb cruising comfort. 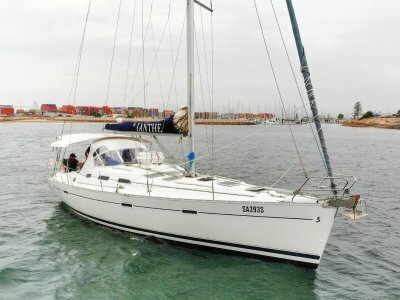 And because Beneteau continues to provide wider and wider choice, you can tailor the 38.1 to your own exacting requirements. 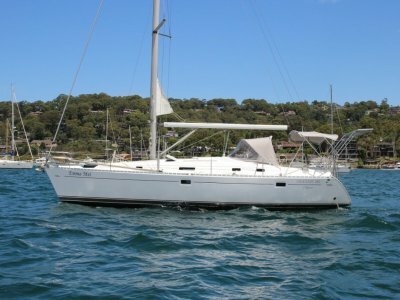 You'll experience pure pleasure and comfort sailing the Beneteau Oceanis 38.1. Beautifully designed by Finot-Conq Naval Architects. 38.1's hull carries its wide 13'1" (3.99 m) beam all the way aft, which lets the boat sail with only minimal heel even in strong wind. 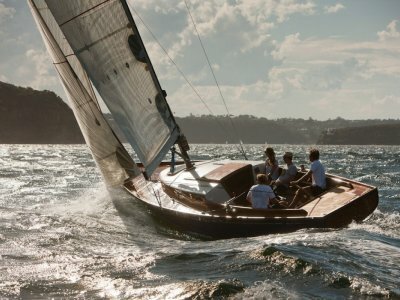 You'll sail further and faster, with exceptional stability, thanks to a clever design that has her good and taut to aft and low on the water. The two helm stations, a mainsail arch and a huge swim platform make time on board the Oceanis 38.1 a real joy. Float downstairs to an interior that is spacious, light and airy. Beneteau has really taken the concept of customisation well beyond the norm for production yachts - offering 6 different layouts and options for cabins, galleys, saloon, bathrooms and storage. The Oceanis 38.1 can truly be fitted to you, your sailing dreams and your lifestyle. Italian design team Nuata have penned a larger, more practical space in the 38.1, introducing a new L-shaped galley on the port side, that will make cooking easier and safer underway. Or for a more contemporary look you can choose a long linear galley on the starboard side of the saloon area. Both galley options boast a large single sink and gimballed stove and oven, and a 130-litre fridge/freezer with top and front-opening access. Better still, the Beneteau Oceanis 38.1 sports the largest windows in her class, so your views from the saloon and cabins are unrivalled. And as you tuck in for the night, you'll enter the spacious and private owner's cabin by double doors... And enjoy the stunning view of whole interior when the doors are open.